In-situ bioremediation of soils and groundwater using an Oxygen Release Compound. Geo-Environmental Services Limited was instructed by Brimount Limited to supervise and validate the remediation of hydrocarbon impacted soil and groundwater to support a residential development. A requirement of the appointment was the successful discharge of the relevant planning conditions relating to soil and groundwater contamination. The sites historic use as a workshop and plant hire centre had resulted in hotspots of hydrocarbon impacted soils, as well as a plume of hydrocarbon impacted shallow groundwater extending from the source area around the former tanks. In addition, a cover system was required for proposed garden and soft landscaped areas on account of the general poor quality of near surface soils. Gas and vapour protection measures were deemed necessary on account of elevated carbon dioxide concentrations recorded during the monitoring and the possibility of hydrocarbon vapours. The soils across the site were also considered to pose a risk to potable water supplies and as such, pipe work would need to be upgraded to “Protecta-line” or similar. Geo-Environmental were appointed to undertake the mitigation measures that had been derived by others in the form of a Remediation Method Statement and agreed with both the Local Authority and Environment Agency. Groundwater monitoring standpipes were installed on each of the four site boundaries and groundwater samples retrieved to provide a baseline set or chemical results. The previously identified hydrocarbon soil hotspots were removed, including the exhumation of an underground fuel tank. On selected hotspots, the base of the excavation and the granular fill used to infill the voids was treated with an Oxygen Release Compound (ORC) in order to promote biodegradation of the hydrocarbons. 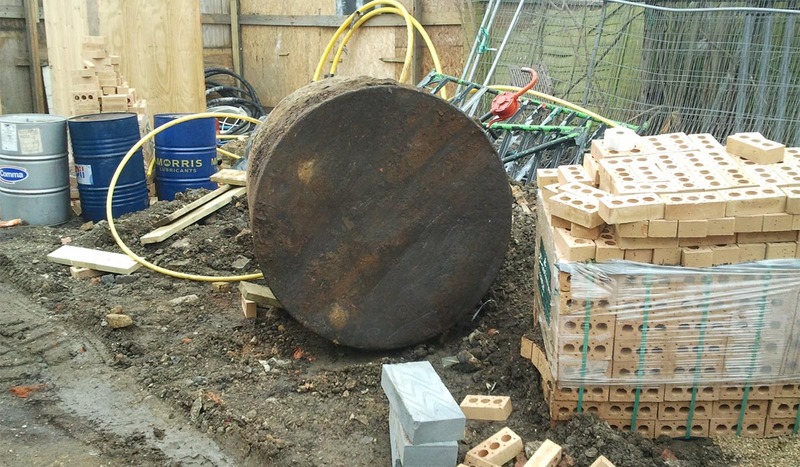 Following the remedial works, groundwater samples were retrieved and tested at regular intervals over a 3 month period. The results obtained confirmed that the remedial measures had significantly reduced the hydrocarbon concentrations in the groundwater, albeit the results were still in excess of the remedial target concentrations presented in the original Remediation Method Statement. Following liaison with the Environment Agency, Geo-Environmental reviewed and updated the original Tier 3 Groundwater Risk Assessment, which following submission to the Environment Agency resulted in discharge of the relevant planning condition. Geo-Environmental also validated the other required mitigation measures to protect the end users, including the installation of the cover systems, gas protection measures and water supply pipe protection measures.